If your lilac tree doesn’t have fragrance, you’re not alone. Believe it or not many people are troubled by the fact that some lilac flowers have no smell. Why Don’t My Lilacs Have a Scent? When no smell from lilac bushes is apparent, it is usually due to one of two things—non-aromatic species or air temperature. Generally, common lilac (Syringa vulgaris), also known as old-fashioned lilac, possesses the strongest and pleasing aroma of all lilac species. 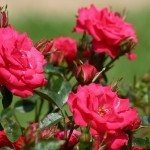 In fact, it’s usually the medium to dark purple varieties that are the most fragrant. However, there are some species of lilac that either do not have a strong smell or any at all. For instance, some varieties of white lilac are actually known to be unscented. These include both single and double white varieties. In addition, many lilacs (including the most aromatic species) don’t smell as much when it’s too cold or damp. During these conditions, which are common in spring when lilacs are blooming, you may notice that your lilac flowers have no smell. Once it warms up, however, they will begin putting out rich, perfume-like scents. The best time to smell lilacs (as well as many other flowers) is during warm weather. The aromatic particles that you normally inhale are only recognized as scent during warm days with moist, stable air. When it’s too hot and dry or too cold and damp, these aromatic particles will quickly disappear because they are unable to rise. 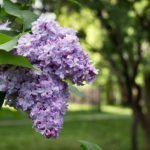 Therefore, the scent of lilac is strongest during mid-spring (May/June) when the air temperature rises just enough to vaporize their aromatic particles, allowing us to take in their intoxicating aroma. Since lilacs bloom for short periods, you can get the most of their scent by planting several varieties that bloom at different intervals. 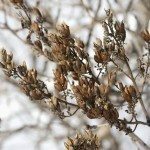 While most lilacs are abundant with pleasing scents, keep in mind that there may be little to no smell from lilac bushes depending on the species and air temperature.